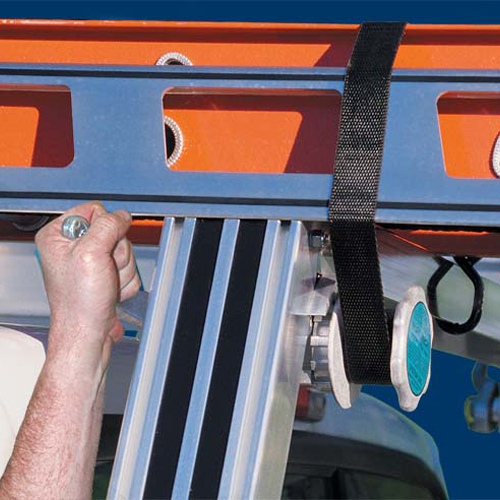 The System One ak4 Full Commercial Kit is ideal for fastening, strapping and securing your cargo to your System One I.T.S. 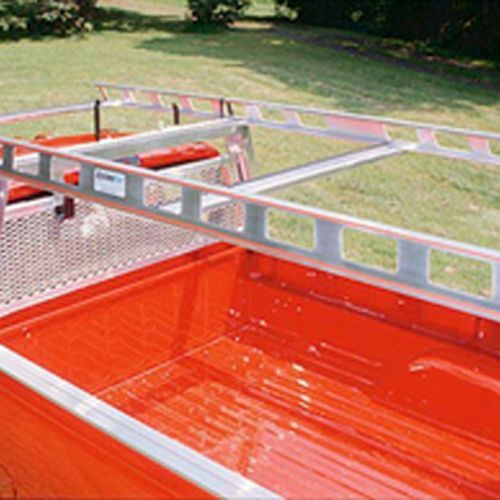 Pickup Truck Racks. 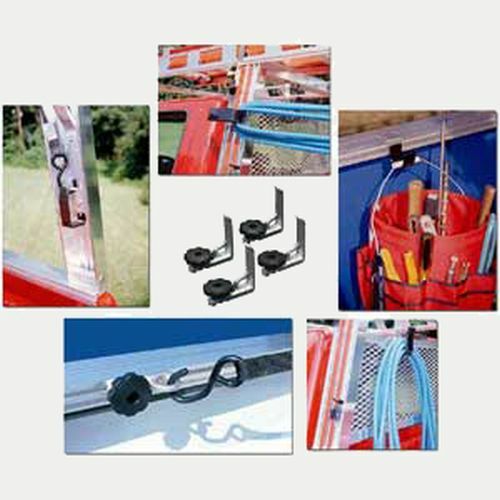 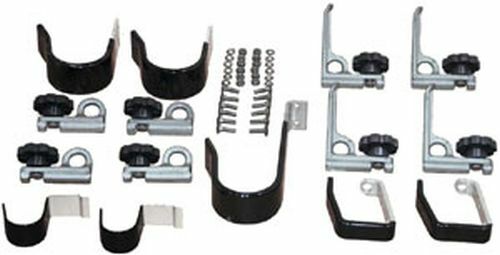 The System One Full Commercial Kit includes the following: 4 Cargo Anchors with knobs, 4 x 5 inch Ladder Stops, 2 Quick Hooks, 1 x 5 inch Cross member "J" Hook, 2 x 5 inch Hooked Brackets and 2 Inside Hooks. 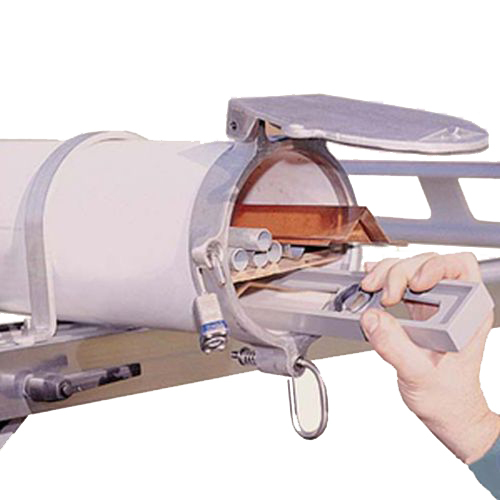 Each System One Accessory fastens into the T-slots on the legs, cross members, or bed rails. 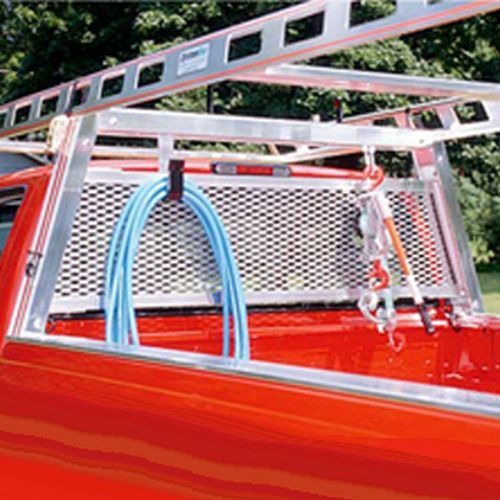 All Full Commercial Kit Accessories are made of aluminum and stainless steel - so they won't rust.